A statement win last week over Kaukauna sent a message that North is completely focuses and targeting a state championship. Tyrese Haliburton was spectacular and right now the top two Division 1 teams in the state are North and Sun Prairie. On paper this team might very well be the best team in the state for Division 1 schools. They have versatility, athleticism, skill, and depth. Marlon Ruffin has been spectacular as has sophomore Jalen Johnson but to hoist the gold ball in March I keep thinking Delaware Hale has to consistently be the do it all forward he has been in flashes as it will free up both Ruffin and Johnson to do what they do best. They have one of the premiere prospects in the entire country regardless of class in 2021 F Michael Foster and his versatility, talent, etc. hasn’t been seen in the City for a long time if ever before big picture wise. Senior Jordan Dinsmore has been solid this season and junior Deontay Long has been sensation as well. Regardless of Division they match up size wise, athletically, and skill wise with anyone in the state on any given night. The Division 2 state championship is going to be an exceptional platform this season and for Washington to hoist the gold ball their going to need defense, unselfish play, and a collective team effort that means a complete buy in to taking on any role necessary to win each game. Love what Coach Basile has done with this program and this team and senior forward Grant Basile who also double’s as Coach Basile’s son is a testament to hard work and trusting the process. Basile should be in the conversation for player of the year honors as he’s been spectacular. No one wants to play Pewaukee in March as they’re well coached, talented, and disciplined. The defending Division 2 state champions have almost become the forgotten man in this year’s conversation yet they still have the Davis twins to lead the attack. They have depth, versatility, and talented and they see to be the man you have to beat the man so whoever hoists the ball in March will likely have to overcome Central, which will be no easy task. Senior guard Jay Gentry has been exceptional from start to finish and Head Coach Kelly Applebee knows a thing or two about state championships already in his early career. Gentry is a matchup problem for opposing teams because he brings it on both ends and he does so in dominant and physical fashion. They’re the team to beat right now at the Division 3 level. 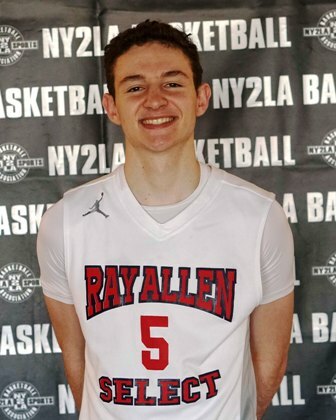 Senior big Patrick Cartier has been exceptional all season long and his play combined with strong coaching and a bunch of parts that all work well inside the wheel to make for a strong high school TEAM. Not respected as much as they should be, East is going to open some eyes in March and don’t be surprised if they pull off a shocker at some point. When you have arguably the top floor leader in the state who loves the big stage you have a great chance to do big things when it matters and that’s exactly the case with Kaukauna. West Virginia bound PG Jordan McCabe is special when it matters and he has the ability to elevate his team to its highest level in the biggest situations. They like Washington, Pewaukee, etc. are a serious threat to capture the coveted Division 2 state championship again this season. Senior guard Hunter Plamann is the catalyst but this team is far from a one man team. They go five deep in double figures with Plamann dropping 23 a game followed by senior forward Nate DeYoung who comes in at 16 a contest. They’re 21-0 on the season, they’re deep, they’re talented, and they are a favorite to hoist the Division 3 Gold Ball in March. Another of the teams that hasn’t got the attention or the respect they deserve, sitting at 19-1 Franklin has consistently delivered high caliber performances this season and senior Max Alba is a big reason why. A model of consistency this season Alba is averaging over 22 points a contest and he has this team on deck to surprise a lot of people in March. Others of Note – Racine Park, Dominican, Kimberly, Cedarburg, Madison Memorial, Racine Park, Bay Port, Waunakee, Brookfield Central, Martin Luther, Waupun, Monona Grove, Destiny, etc. The Iowa State standout was exceptional in a statement win over Kaukauna last week as he erupted for 42 points and put his name firmly into the Mr. Basketball conversation. Haliburton has been very good all season long but last week against Kaukauna he was special in a big way on a big stage. 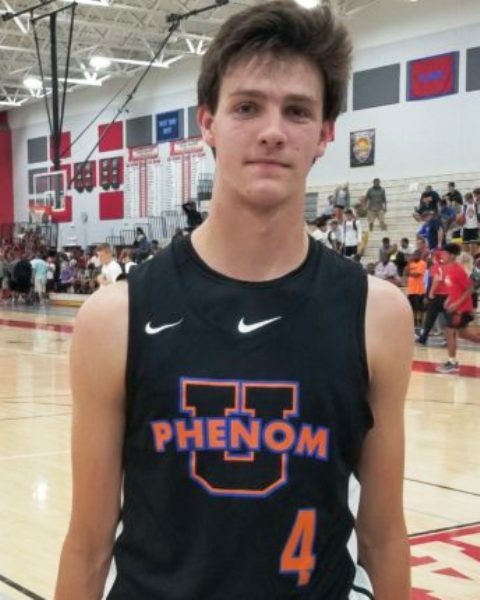 The recent UC-Irvine commit is averaging close to 27 points a contest and continuing to deliver consistently dominant performances this season. A late blooming wing, Butler has made himself a player and his delivered a strong senior campaign with impressive results. After a slow start off the ball Cole has slid over to the lead guard position the past 6 weeks and his play has been exceptional at times. He has a solid perimeter stroke, excellent vision, he has great touch and timing on his passes, etc. An excellent defender, Nau has been exceptional the second half of the season and his play will be critical to fortunes of Brookfield Central in March. A breakout sophomore who is just scratching the surface, Gilmore is averaging close to 16 points a contest this season for Arrowhead who is in the midst of a solid season. He has range that extends beyond the arc, he can score at the mid-range level, and he’s shown a decent ability to finish around the basket. Far from a finished product, Gilmore is one to watch closely moving forward.